On one of the shortest day of the year it seems fitting that I reminisce about the long days. Summer to us means adventure; road travels and other. I especially love finding a place beautiful enough to be popular to the masses, but, for whatever reason, remains a more local treat. 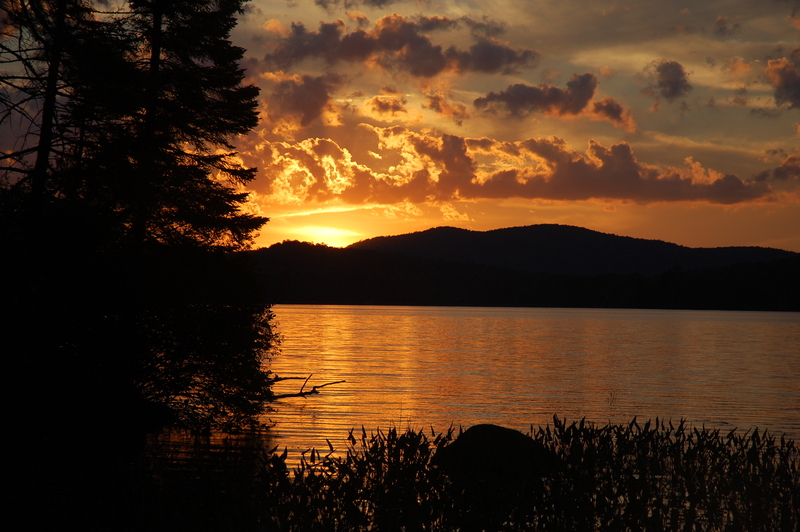 The Blue Mountain Lake region of the Adirondacks is such a place. 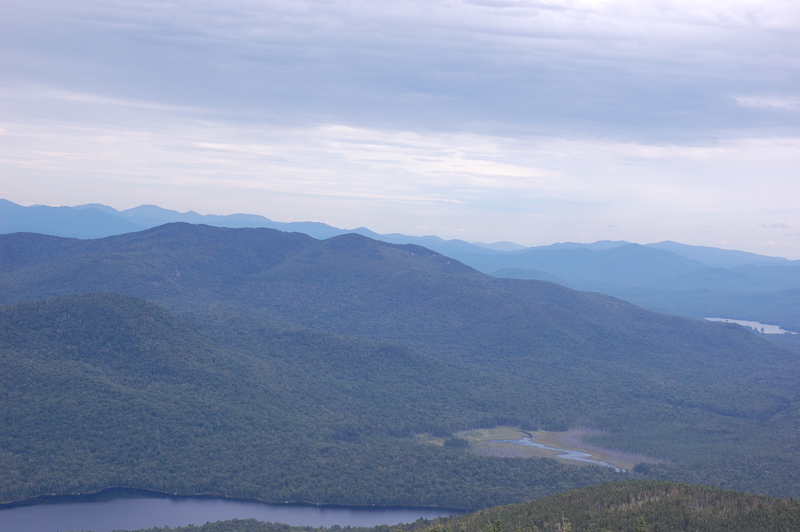 The Adirondacks is an interesting world. It is sometimes a wilderness, sometimes a crowded resort town, and sometimes a quaint getaway. The road from Utica (28) samples all of that on its slow ascent to the 28/30 intersection. By the time you have reached the intersection of 28/30 you have shaken off many of the day trippers and resort goers. 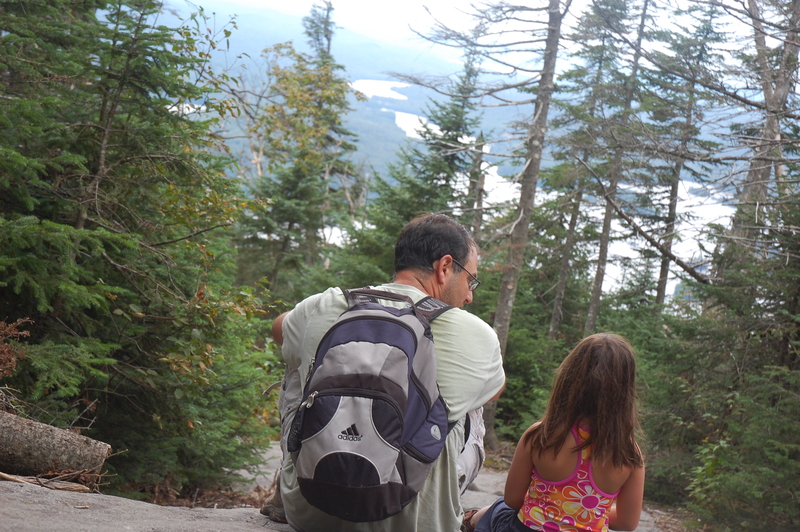 The Blue Mountain Lake area to us feels like a small state park tucked into the mountains. Eating options are decidedly fewer and if you have no groceries you might find yourself, as we did, dining on gas station pizza and potato chips. 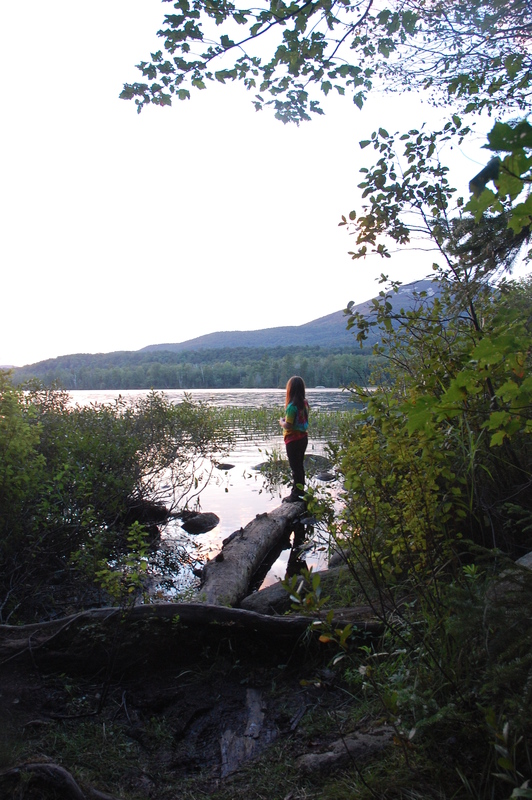 Our lodging choice is Lake Durant, a stone throw from Blue Mountain Lake. Lake Durant has one of the best swimming beaches we know. Canoes are also available (a canoe truck drives through the camping loop each morning) and fishing is good. Lake Durant has one camping area with sites on both sides of a gravel road. Sites are either on the lake or are separated from the lake by the road. Not surprisingly the lake side sites fill up first. Several campers indicated that the campground only fills up completely a few summer weekends. Nearby Blue Mountain Lake is larger and colder (the beach is bigger too but the colder water makes for worse swimming) and also offers canoe rentals. Many years ago Corey and I took our first canoe trip on this lake. We also fell into a lake for the first time ever which led to our first canoe related lesson (how to successfully put a canoe into a lake). Blue Mountain is there for the climbing. Corey and I have climbed it twice, Henna once. The first time Corey and I were in our late 20s and I remember it being a pretty easy hike with a great view on top. There are even better views from on top of the fire tower. The second time up we were in our late 30s (Henna was not quite 7). Henna did fine but was sort of pushed up the last half mile or so. Corey and I worked harder to get up that mountain that I would care to admit. The last chunk of the hike is straight up (no switch backs here) and I cursed gravity most of the way up. We ended in a collapsed heap at the base of the fire tower. There we met a mountain hermit or, actually, a young college student living at a cabin just behind the fire tower for the summer. 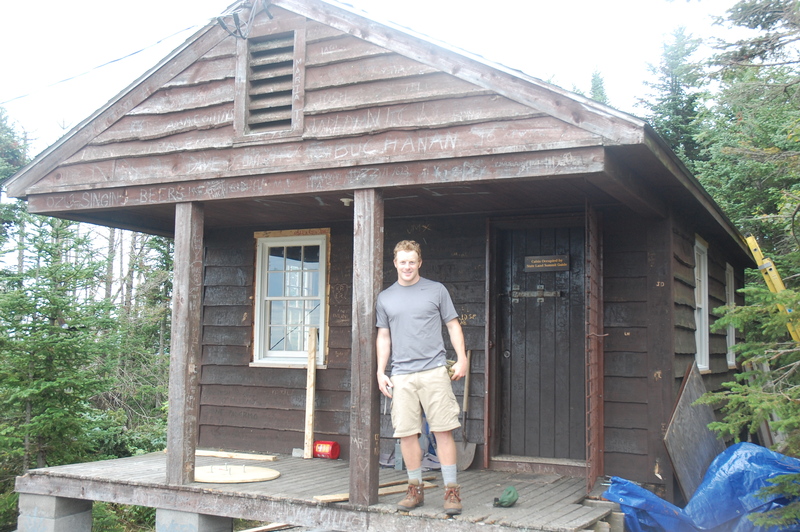 He was eager for conversation and told how a black bear walked just past his cabin a few nights past. We stayed awhile on top of the mountain. Henna and Corey refused to climb up the fire tower but I did and got some nice pictures for my effort. 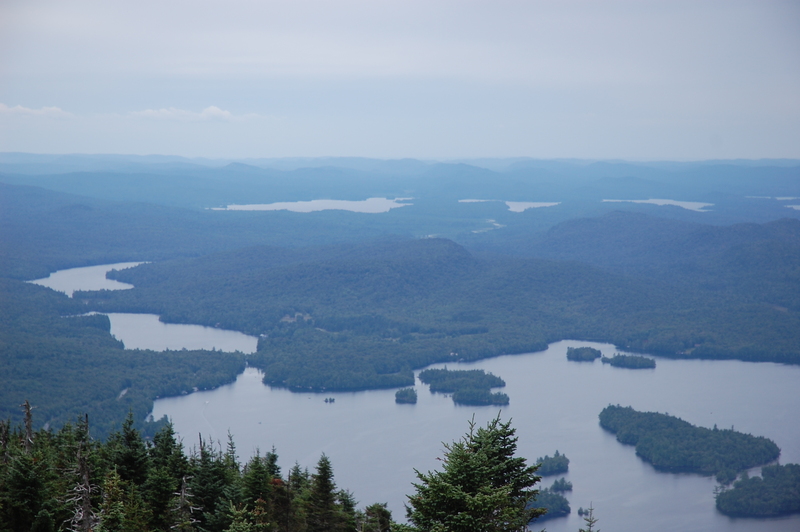 This entry was posted in East Coast and tagged Adirondacks, Blue Mountain Lake, cool pictures, Road Trip by hennacornoelidays. Bookmark the permalink.